360 degree feedback is a useful tool for management and leadership development, identifying ‘blind spots’, enhancing or recognising skills and personal development. It is widely recognised as the most honest and constructive of all feedback methods. 360 allows direct feedback from an employee's own staff, peers, and manager(s), as well as a self-evaluation, in a safe anonymous setting. 360 allows direct feedback from an employee's own staff, peers, and manager(s), as well as a self-evaluation, in a safe anonymous setting. It can also include, in some cases, feedback from external sources, such as customers and suppliers or other interested stakeholders. 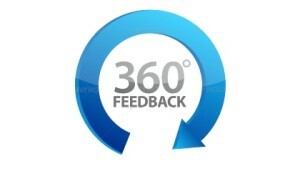 The benefits to using 360 are many and highly valued due to the method of data capture. At new habits we have developed our own 360 degree feedback tool that offers a simple, compact framework to administer the 360 feedback.